Worry is so high about power reliability that businesses are taking matters into their own hands, with data centers particularly active in seeking energy alternatives, according to an industry survey. Released last week for the first time in its entirety, “State of Commercial & Industrial Power Reliability,” analyzes results from a survey of 251 commercial and industrial businesses conducted late last year by Frost & Sullivan for S&C Electric. The report finds that 70 percent of companies are worried about power reliability and 40 percent would pay a premium to improve it. The findings are particularly significant to utilities, since 60 percent of those surveyed said they are seeking ways to improve power reliability beyond what their power providers offer. “The majority of these customers have determined they need to take their own actions to achieve the level of power reliability they need,” says the report. Of those, data centers lead the way at 81 percent looking for a higher standard for power reliability than they currently experience. They see procuring their own solutions as the best guarantee to achieve the level they need, according to the report. This isn’t surprising in that 52 percent of data centers already spend $50,000 or more annually to improve power reliability. “Data Centers take a far more active role in guaranteeing power reliability. The majority, at 57 percent, own on-site generation, and another 43 percent own on-site generation and are seeking to expand it in the future. 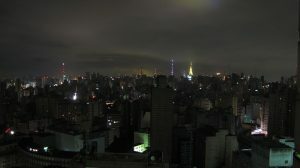 The majority also would like their local utility to offer premium power,” says the report. Businesses also want stricter standards applied to measuring utility outage performance. Regulators exclude major events, like storms, when they gauge a utility’s power reliability. They also exclude outages that last less than five minutes — even though such events can be costly to certain manufacturers and data centers. Sixty-seven percent of those surveyed said that the bar for reliability should be raised. The report focuses on energy users in manufacturing, data center, healthcare, small franchise, and education sectors, broken down by region of the U.S. The respondents represent the majority of metered revenue for the utilities that serve them. Their monthly energy consumption ranges from 10 MWh to more than 50 MWh. The report is available on S&C Electric’s site. *AFCOM members are invited to a meeting at Microgrid 2018, hosted by John Heiderscheidt, president, AFCOM Chicago Chapter, and Microgrid Knowledge in Chicago from 8:30 – 10 am, May 9. Participants also have the opportunity to attend a special presentation on microgrids and power resiliency for data centers, plus a coffee-and-networking opportunity following the presentation. 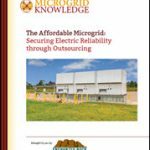 More details about the three-day Microgrid 2018 are here.